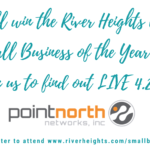 Inver Grove Heights/South Saint Paul – One of the River Heights Chamber’s goals this year was set to educate and Invigorate member involvement in advocacy with social media or an event. Historically, the River Heights Chamber of Commerce has led the Dakota County Leadership Academy to build community leaders within the local Chamber of Commerce membership, however, the area Chambers have not revived the leadership program since the economic downturn more than 5 years ago, leaving a gap in leadership training through the Chamber. 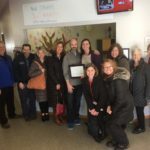 Staff combined the goals of the Board of Directors with the desire to offer members a training opportunity to become more engaged in the community, in their business and in the Chamber. The following course was developed with Connolly Kuhl Group in partnership with the Minnesota Retailers Association and approved by the Chamber’s Board of Directors for the Fall of 2017. “Whether it be at the municipal, state, or federal level, advocacy is a crucial part of influencing how decisions are made. We consistently see businesses wanting to advocate on behalf of issues that will directly affect them, but do not know how to effectively do so. The Government Affair is a great opportunity for companies big and small to not only expand their knowledge of civic affairs, but learn how to actively engage with elected officials to benefit their organization and the business community,” stated Carl Kuhl, Connolly Kuhl Group. Jennifer Gale, President of the River Heights Chamber noted, “The Government Affair will challenge and motivate course graduates to make a difference in their organization and community by learning about the grassroots process that keep our local communities a good place to do business in.” “Understanding how the process works is critical to influencing decisions being made every day impacting you and your customers. 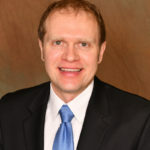 The Government Affair turns observers into power players,” added Bruce Nustad, President, Minnesota Retailers Association. This four-part series will meet from 1 p.m. to 4 p.m. on the third Tuesday of the month from September to December at a location relevant to the topic. Each class will follow with an optional afterglow at a local establishment. September 19, 2017 – Learn about the local commissions, city council process, development reviews and the role local government plays in sustaining a successful business community. Hear from city staff, elected officials and economic development professionals. October 17, 2017 – Learn about the state legislature, lobbying, passing bills out of committees, how to participate in a grassroots campaign and who the players are. Hear from elected officials, capitol staff and professional lobbyists. November 21, 2017 – Learn about federal government issues that affect Minnesota businesses. Get an inside perspective into Washington D.C. and how legislation impacts our local companies. Hear from Fortune 100 government affairs professionals, congressional official/staff and a federal agency official. December 19, 2017 – Learn how to influence democracy. Participants will learn how to effectively participate in a grassroots campaign for your company. Graduation Ceremony to follow – guests are welcome. The investment fee covers all course materials and graduation ceremony. Series sponsorships are available. Contact the River Heights Chamber of Commerce at 651.451.2266 or apply online at www.riverheights.com/thegovernmentaffair. The City of Inver Grove Heights is looking to attract new businesses to the area and Progress Plus is here to lend a helping hand. There’s a place that’s not too far from Minnesota’s metro core. It’s at the heart of where the pulse of business beats strong. It’s a place where good business and healthy living come together to make more than good sense for anyone looking to start or relocate a business. This place called River Heights is where opportunity and the spirit of business soar to new heights; bringing prosperity and a higher quality of life to those who come this way. Inver Grove Heights is a beautiful community rising gently from the banks of the Mississippi. It has good soil, rolling hills and dense groves of hardwood trees. It holds the promise of being a good place to grow. Our community is one that suits itself well to fostering a high quality of life. That’s why college, secondary and primary schools, parks, playgrounds and open spaces are a big part of our developing community. And, like our environment, we value and do all that we can to care for our community businesses. We have business assistance programs that can help with site selection, financial assistance and local contractors. People and companies reach new heights of success in a receptive climate that’s open for business. The Community Development Department works to provide Inver Grove Heights with a high-quality living environment and a diverse economic and social base. The building inspections division is responsible for plan reviews and inspection of all building and remodeling projects to ensure that they comply with state building, plumbing and mechanical codes. The Inver Grove Heights Fire Marshall reviews plans, inspects and tests fire protection systems, fire alarm systems, storage tanks and dispensing systems. For questions, or if you would like more information on doing business in Inver Grove Heights, please contact Progress Plus Economic Development at 651.451.2266 or visit us online at www.progressplus.org.